I haven't really had a wreath up on our front door since christmas, sad isn't it? 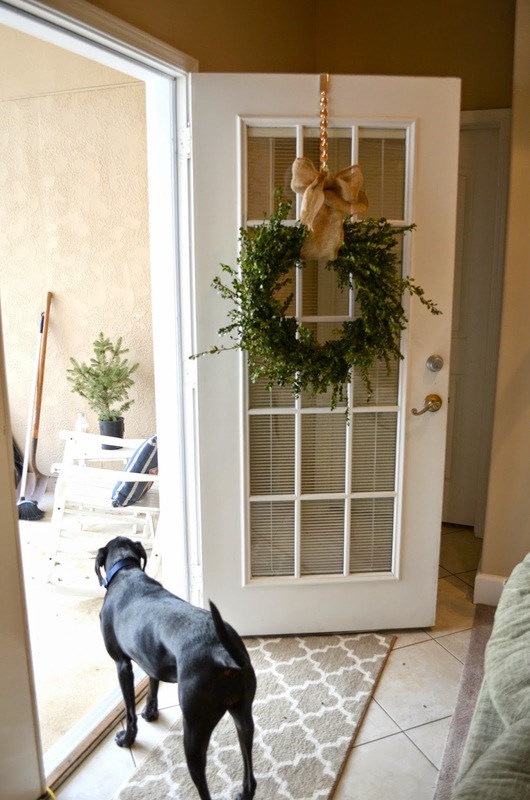 I have had my eye on a boxwood wreath from Target, but I didn't want to spend $50 on a wreath when I have tons of boxwoods in my yard! So, I took the DIY route and made myself one! 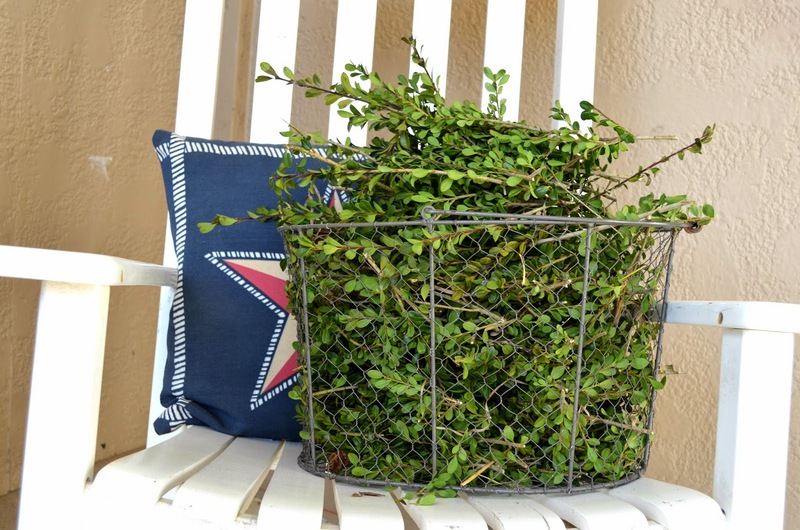 First thing that you will need to do, is go out and clip yourself some boxwood stems! 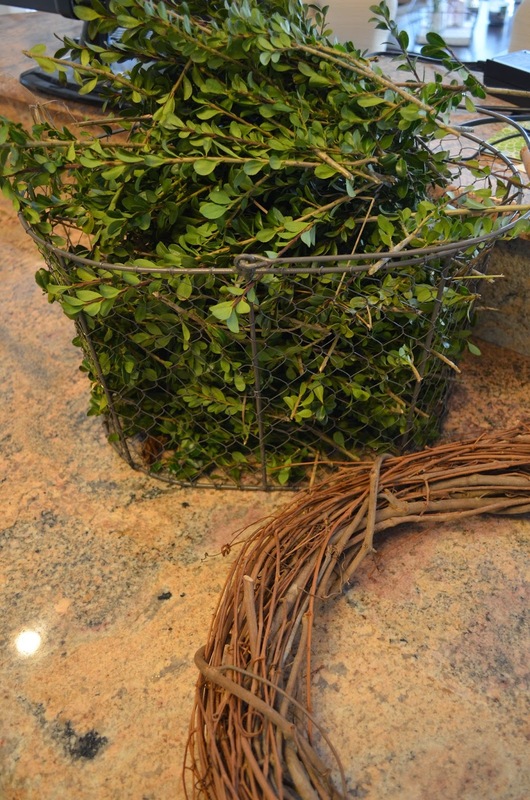 Once you have all the boxwood clippings gathered together, weave them into the wreath. 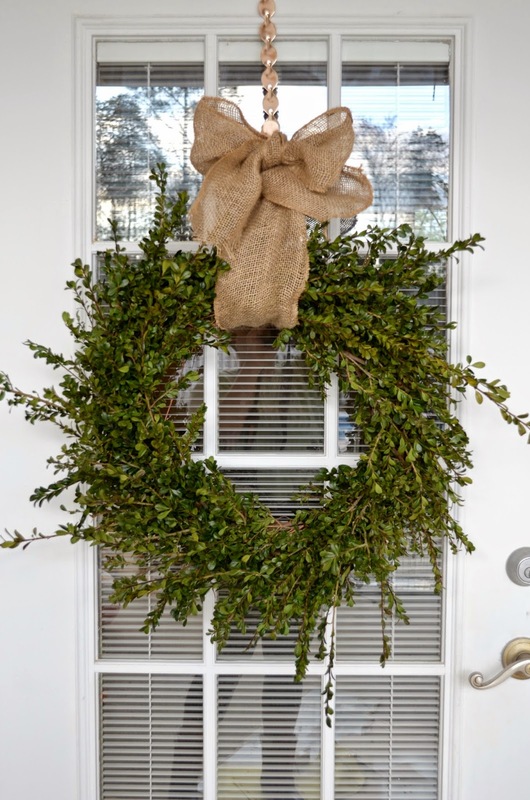 You can add more or less depending on how full you want it to be and how much you want to see wreath underneath. This is what the wreath looked like before I got started. 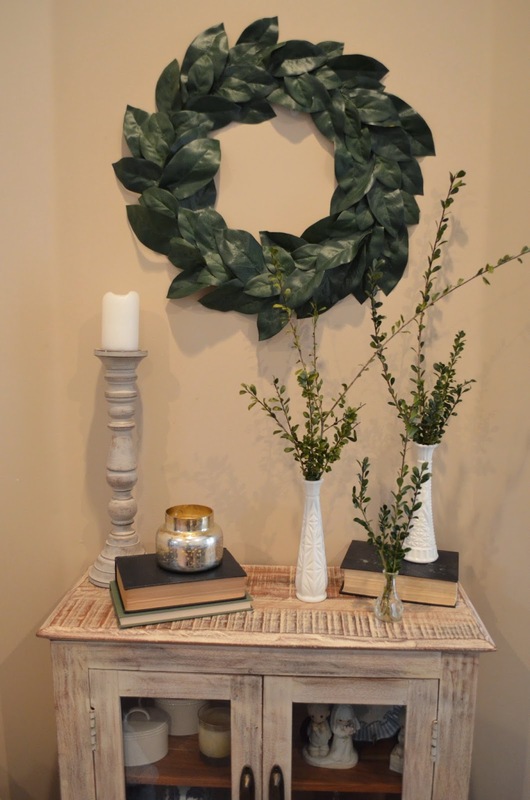 It is actually the same wreath that I used for one of my cotton wreaths this past fall! My kitchen was a complete mess! I ended up vacuuming everything, including the countertops! Any pieces that are sticking out too much or that did want to stay in place, I just used a glue gun to secure them. I told you it was a mess didn't I? Now, the process was a little time consuming, but it was well worth the time and effort. It is the perfect size to fill the door, and it makes me very ready for spring! I worked on the wreath while some other yard work was being done. I don't mind getting out of pressure washing the pool deck if it means I am making a wreath. KJ always says how much he likes my wreaths and how good they make the front porch look! Well, I can't let him down! So, I have a confession... We hadn't cut our boxwoods in over a year, so that is why we had some much extra to make stuff with! Here are a couple other ways I used some of the clippings in the house. I love the look of fresh greens or flowers in a home. It gives new life to your space! You don't have to spend tons of money on flowers to make your house look beautiful! I love it! But how long will the branches last? ?